Finding your way in the dark comes with many challenges. Firstly, there is the possibility of getting lost. Secondly, you may bump into obstacles along the way. Thirdly, you will strain your eyes trying to see through the darkness. The best solution to such problems is investing in a flashlight. This accessory comes in a handy design for easy carrying and will illuminate your path and surrounding. Like any other item, you desire a product that will serve you well, last for a long time, consume minimal energy, and doesn’t require lots of energy. LED flashlights are known for their lightweight, portability, energy-efficiency and bright light. Nonetheless, not every product guarantees you of the best service. In these top 10 best LED flashlights in 2019 review, we looked for the best in the market. 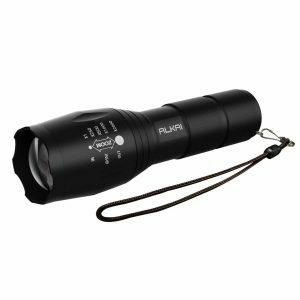 Producing up to 1200 lumens of brightness, this tactical flashlight by ALKAI is the most powerful on our list. Just as it’s powerful, it’s also very well made from aluminum alloy and can withstand daily usage, poor handling, knocks, bumps, and also the rugged environment. It comes with adjustable focal zoom and 5 light modes (High, Medium, Low, Strobe, SOS). The shockproof and water-resistant case makes this unit perfect for camping, hiking, hunting, fishing, dog walking, emergencies, and backpacking among other activities. It’s loved for its simplicity, compact design, super brightness, long range, and easy to use. The downside is it doesn’t come with batteries. This is an ultra-bright tactical flashlight that will easily light up your entire room. It features five modes of lighting that includes emergency, strobe, low, medium and high. You will be able to focus on objects when it is about 1200 feet away and it is powered by three AAA batteries or you can use a one-button top 18650 rechargeable battery that will offer a great performance of 100,000 hours lifetime. 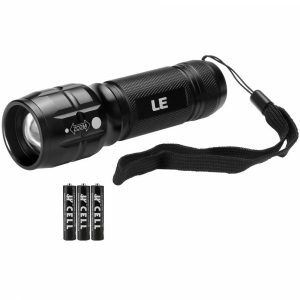 Other than that, the Flashlight is compact enough and will fit in your backpack or pocket. Made with a strong and waterproof structure such that the flashlight will survive when you drop it 12-foot from above or when you submerge it under water. This makes it perfect to use in snow, rain or emergency conditions. 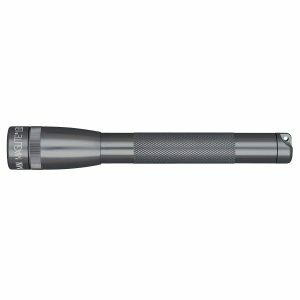 Another great option, this ridiculously lightweight, ultra compact and a fabulously bright flashlight is the best option that you can have. It comes with an electronic switch with 4 modes that include SOS mode, blink mode, low power (25%) and high power (100%) mode making it perfect for emergencies at your car or home. Moreover, it has superior quality craftsmanship with diamond knurl design, weather-resistant seal and anodized inside making it be corrosion resistance. This LED Flashlight will fit perfectly in your pocket and it’s a powerful lighting instrument ideal for fishing, climbing, camping, car repairs, hunting, household use and more. 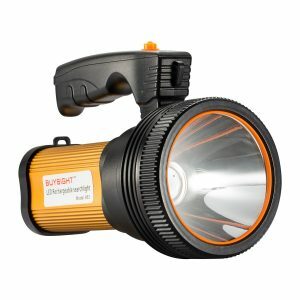 This impressive LED flashlight from BUYSIGHT produces a maximum 6000 lumens of intense light. It will offer two brightness levels to choose from. On top of that, it has an ultra-long illumination range that goes up to 800 meters thus perfect for an outdoor spotlight. Featuring a rechargeable 9000mAh battery, this LED Flashlight will provide long outdoor working time. Ideally, the flashlight is made with IP 4 waterproof design thus it cannot be affected by splashing water and this makes it perfect for adverse weather conditions. The LED Flashlight features a comfortable handle making it petty handy. It is also lightweight and you can handle the Flashlight without tiredness. 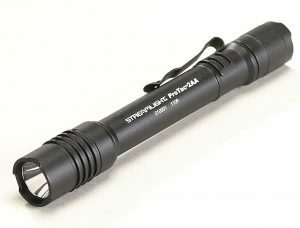 Anyone who has ever used this black flashlight by Streamlight will agree that it’s one of the powerful and portable units on the market. The high-quality construction and material make it ideal even for the rugged terrains while the ergonomic design improves handling and comfort. The built-in LEDs produce 250 lumens of brightness and offer as many as 50,000 hours of quality lighting. Rated IPX7, this flashlight is waterproof up to 1 meter for a maximum of 30 minutes. The multifunctional accessory offers different lighting intensities and can be operated using one hand. The positives include user-friendly design, easy to use, portable, good construction, and durable. The negative is the instructions, which are not very detailed. 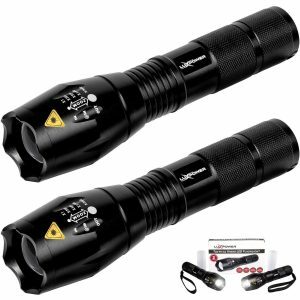 Coming in a 2-pack, this black Led flashlight by Lux Power combines practicality and efficiency. Although small in size and lightweight, it produces powerful beams that allow you to see several meters ahead. The Flashlight consists of several LED bulbs and comes with 5 adjustable modes for improved functionality. The compact and portable design makes it perfect for hunting, fishing, camping, hiking, and backpacking among other uses. It runs on either a rechargeable 18650 or 3 AAA batteries. The positives include super brightness, easy to use, portable, compact and affordable. The negative is that no battery is included. 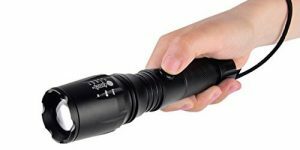 Although it may be small, this mini flashlight by BYB emits powerful beams that enable you to see the way ahead or around. 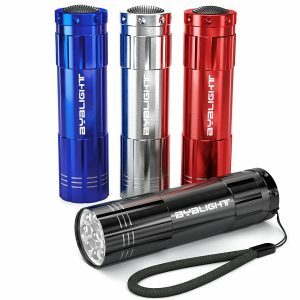 The flashlight comes in a 4-pack and is suitable for camping, backpacking, hiking, fishing, hunting, and many other situations. It’s constructed from sturdy aluminum for long life and comes in an ergonomic design for a firm grip. Turning it on or off is easy courtesy of the simple and conveniently placed On/Off button. It is powered by 3 AAA batteries that provide many hours of quality lighting. Consumers praise this accessory for its solid construction, super brightness, lightweight, and rust/corrosion resistance. A few nonetheless state that it’s not suited for heavy-duty applications. 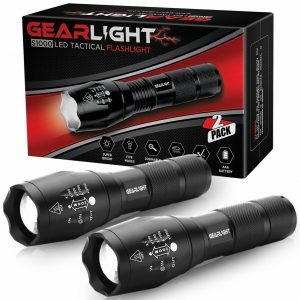 Able to illuminate a distance as far as 1000 feet, the GearLight Led Tactical Flashlight will brighten the camping, hiking, fishing, hiking, or other situations. The super bright LEDs produce bright light and run via rechargeable 18650 lithium-ion or 3 non-rechargeable/ standard AAA batteries. It comes with a zoomable beam for narrowing or widening the light coverage and 5 light modes (High, Medium, Low, Strobe, SOS). Thanks to its sturdy construction, this unit can tolerate bangs, knocks, falls and is also water-resistant. 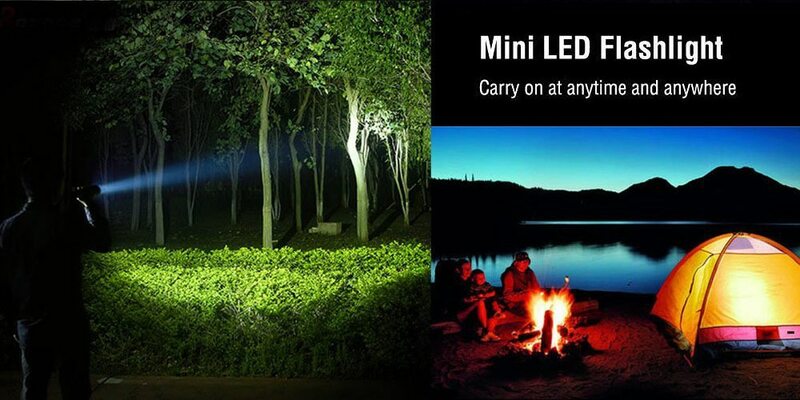 People choose this Led flashlight because it’s very portable, small size, easy to use, durable and energy efficient. However, a few would have liked it more if the beam adjustment was lockable. This Led flashlight by Lighting Ever is known for its super brightness and portability. It has a brightness rating of 140 lumens and can illuminate a very wide area. The 1-pack unit features adjustable focus that allows a user to vary the distance covered by the light. It also comes with a skid-proof design for better handling and is water-resistant. The portable light is powered by 3 standard AAA batteries and is known for consuming minimal energy. Notable pros include skid-proof design, super bright, easy to carry, and easy to use. The main con is that the location of the On/Off switch isn’t the best. 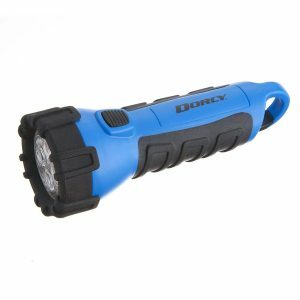 Say goodbye to getting lost in the woods or wilderness or constantly bumping into objects by using this blue LED flashlight by Dorcy. Constructed from sturdy materials, this unit is suited for residential and commercial use and comes in a waterproof design. It emits 55 lumens of brightness, which is decent for most day-to-day uses. The flashlight’s floating nature prevents it from sinking in water whereas the built-in carabineer clip improves handling and portability. The rubberized hand grip offers a firm grip and feels soft to the hands. 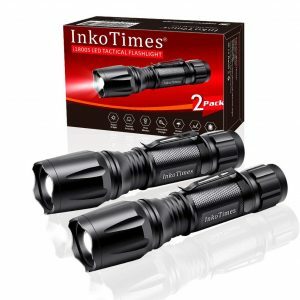 People like this flashlight because of its lightweight, very portable, produces powerful lighting and has a firm and comfortable grip. Some consumers say that it isn’t very effective at very large distances. Finding your way in the dark doesn’t have to be a challenging task. You don’t need to risk bumping or knocking obstacles. You also shouldn’t waste money on energy usurping products or use lots of effort to carry a bulky and heavy unit. In these top 10 best-LED flashlights in 2019 review, we compared various items currently being offered in the market and managed to identify the very best. You’ll realize that they share lots of similarities that include lightweight, portable, bright light, sturdy construction, easy to use, affordable and energy efficiency. With any of these flashlights, you are assured of maximum satisfaction.